Thermowells are put in place to protect the temperature sensor in use from the measured medium, which could be corrosive or hazardous. It also allows the removal and replacement of the sensor without disrupting the medium. Thermowells provide a safer and more sanitary option for temperature measurement. 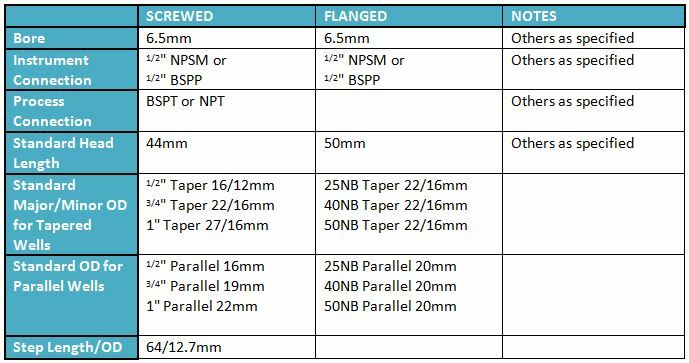 Below is a table of the most common specifications used in the manufacturing of thermowells.